The Stars scored four goals in the first period on nine shots against Pekka Rinne in a dominant effort to tie-up the series. Roope Hintz scored two goals and John Klingberg had three assists for Dallas. Ben Bishop stopped 34 or the 35 shots he faced. RT @adiavictoria: just to give y’all an idea of how much nashville has been gentrified—there’s a lady in lululemon leggings chewing out a Kroger employee over the lack of gluten free seitan. she is standing in the exact spot where i used to to purchased my chitterlings back in the day. Just a friendly FYI, if you aren't watching @NBCAPBio, you are missing out. I promise it is hilarious. If you like @alwayssunny and @GlennHowerton, this show is for you. Did somebody say “Playoff Colin Wilson”? 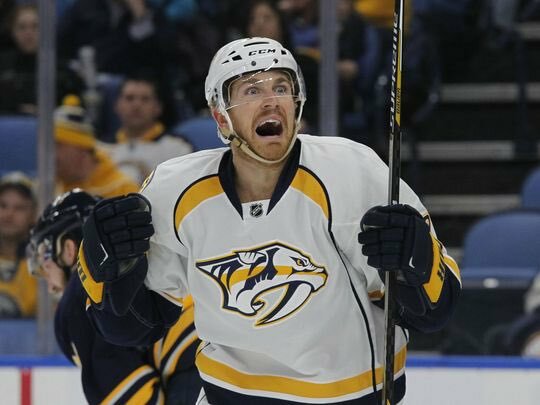 Well there’s a “Playoff Colin Wilson” goal!